Afternoon loverlies!! Another loverly round of Learn MORE About ME Monday!!! Hope everyone is doing fine this Monday!! Isn't it weird how next WEEK is CHRISTMAS???!!!??? Yuck!! It came too soon. Argh. Been kinda down feeling more this Christmas. I hate that!! I'm usually like ALKJFLDJLFJS CHRISTMAS!! But this year it's a tad depressing. I've been trying to think of things maybe my hubby and I could do just to make it better, but not much you can do when your money is tight. But that's life eh? Gotta think about his school and hopefully it will be better. ;) I really wanted to make some fancy Christmas cookies, but there's always next year right? :D anyways, on with the subject for today!! 1.) I'm very superstitious about certain things. One thing is i'm scared to admit out loud that this has never happened to me or that has never happened to me. Because I feel if I state it, it will happen and I don't want that. 3.) Well I love animals in general. If I could I would work at a job that had animals or took care of the. It's hard for me to work period, because of my anxiety. 4.) I am a perfectionist when it comes to certain things. For example: Food. If the food doesn't turn out right or I can't get the same amount of items in a taco, burrito, or right portions on each plate I get anxious. So anxious I have to take a step back and calm down before I have an anxiety attack. Usually my wonderful husband takes over and makes everything perfect. :) My husband, he may not be a hero like in movies or fairy tales where the evil vampire/creature comes and takes me away, and has to save me. (because, that's just made up.) But he is a hero in my eyes, because he saves me by fixing the situation that I'm normally freaking out about. 6.) I majored in Music - Vocal Performance at Central Baptist College in Conway, Arkansas. I only was able to finish three years sadly. Money will get ya. lol I miss my vocal lessons and I desperately miss performing!! 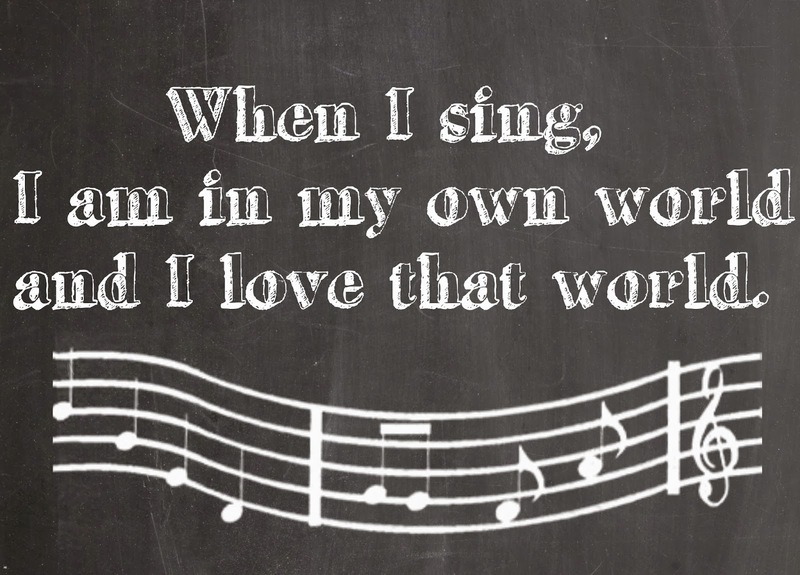 I have had friends tell me when I sing, I am like a totally different person. I understand what they mean. When I sing, I just feel like I can do anything and I can be anything. I am in my own world and I love that world. There you have it!! Leave me some loverly comments below with facts about yourself!! I always want to learn about y'all!! Ta Ta For Now! !